SUNDAY, July 10, 2016 (HealthDay News) -- Concussion rates are rising sharply among U.S. kids and teens, researchers report. The study, which looked at health insurance claims for almost 9 million Americans, found that concussion diagnoses more than doubled between 2007 and 2014. The big question is whether the increase reflects a true rise in the number of injuries or an increase in diagnoses -- or both. The most significant jump was seen among 10- to 14-year-olds, whose injury rate more than tripled, the study found. They were followed closely by 15- to 19-year-olds. The causes of those concussions are unknown, according to lead researcher Dr. Alan Zhang, of the University of California, San Francisco. But, he said, head injuries from sports and other physical activities -- such as bike riding and skateboarding -- are likely the main drivers. Past studies have pointed to similar spikes in concussions among children and teens. But, Zhang said, they've focused on specific groups, like high school athletes. "Our study looked at a broad cross-section of the population," he noted. In recent years, Zhang said, the issue of sports-related concussion has received growing attention. So parents, coaches and young athletes are all getting more education on how to recognize and respond to a possible concussion. Kenneth Podell, a neuropsychologist and director of the Houston Methodist Concussion Center, pointed out that U.S. states now have laws designed to ensure kids are evaluated for potential concussion symptoms. Since 2009, all 50 states and Washington, D.C., have passed laws targeting concussion in high school and younger athletes, according to the U.S. Centers for Disease Control and Prevention. The regulations, often called "return-to-play" laws, typically require kids to be immediately removed from a game if a concussion is suspected. They also usually require a doctor's OK before a concussed athlete can return to the sport, according to the CDC. In 2007, the first year analyzed in the new study, those laws did not exist. To Podell, who was not involved in the research, the increase in concussion diagnoses is a good sign. "I see this as a positive trend," he said. "We're finally taking this condition as seriously as we should." That said, Podell added, the findings could also reflect a rise in the number of children and teens being injured. "Is this because more kids are outside being active?" he said. "We don't have the data to know." 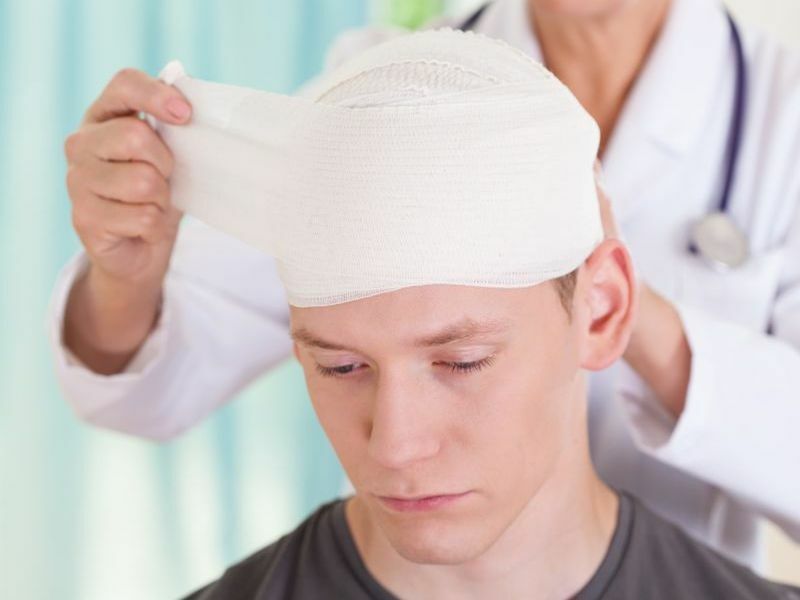 According to the CDC, more than 248,000 U.S. children and teens land in the emergency room each year because of a concussion sustained in sports or recreational activities. But that figure only captures kids taken to the ER. A recent study estimated that the actual number of injuries is closer to 2 million a year -- but researchers said even that figure is probably too low. For the new study, Zhang's team used records from more than 8.8 million people in one large health insurance plan. The investigators found that nearly 44,000 were diagnosed with a concussion between 2007 and 2014. Overall, 10- to 19-year-olds accounted for one-third of those diagnoses. Older teens sustained concussions at a rate of 16.5 for every 1,000 patients; that figure was 10.5 per 1,000 among 10- to 14-year-olds. Kids in those age groups also showed the biggest increase in concussion diagnoses over time. While the rate rose 160 percent across all age groups, it spiked by 243 percent among 10- to 14-year-olds, and by 187 percent among older teenagers. Still, both Zhang and Podell cautioned parents against getting overly alarmed. That's partly because most kids recover from a concussion with no problems -- and partly because physical activity is healthy. "Sports and exercise are definitely beneficial for kids. We want them to be active," Zhang said. But, he added, parents should take precautions, such as making sure their kids wear helmets when they're biking, skating or skateboarding, for example. Organized sports have their role, too, Zhang said. That means ensuring kids have the right protective equipment and enforcing rules that lower the odds of a dangerous blow to the head. Awareness of concussion symptoms is also critical, Podell said. Contrary to common belief, most concussions do not knock people unconscious, Podell pointed out. Symptoms including headache, dizziness, nausea, ringing in the ears, fatigue and confusion are much more common. Certain problems, Podell said, should prompt a trip to the ER -- such as slurred speech, numbness, balance problems, severe headache, or vomiting more than once. For milder symptoms, like dizziness or queasy stomach, a call to the doctor is in order, he said. Zhang was to present the findings Sunday at the annual meeting of the American Orthopaedic Society for Sports Medicine, in Colorado Springs, Colo. Research presented at meetings is considered preliminary until published in a peer-reviewed journal. SOURCES: Alan Zhang, M.D., assistant professor, department of orthopaedic surgery, University of California, San Francisco; Kenneth Podell, Ph.D., director, Houston Methodist Concussion Center, Houston; July 10, 2016, presentation, American Orthopaedic Society for Sports Medicine, Colorado Springs, Colo.